Did you vote for it? Well, I enjoyed that. Thank, MV. 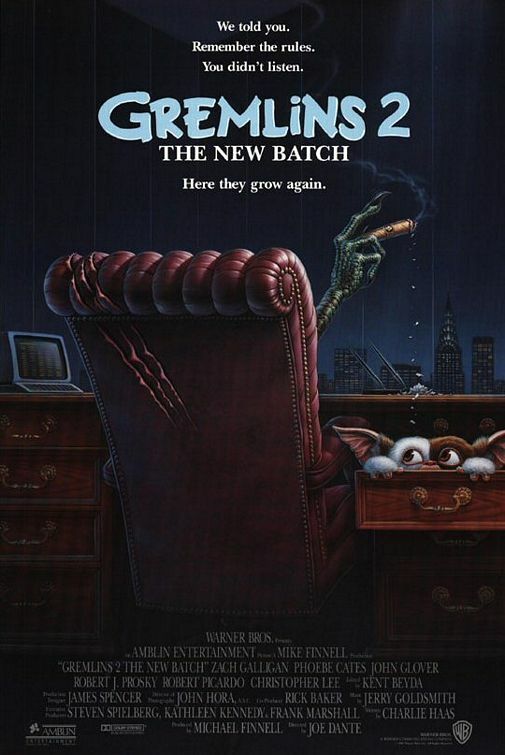 I didn't vote for Gremlins. I haven't watched it in awhile. Bright light. Bright light. Uh oh. You're both too low. Markopense says you haven't seem<-- enough '50s Grade-B monster flicks. You can't understand. Likewise. We should do it again sometime. Hopefully without the technical difficulties in the beginning. What's too low? Our ratings? Absolutely. Just give me a shout and I'll see what I can do. Still have to get set up. Back in a minute. Okay ready when you are, hk. OK, I'm here. Does your copy start with a cartoon? Do you want to start from the titles? i think it does start with a cartoon. OK, I'll press play when you reply to this. And we're off. Buggs and Daffy. 50 years and Daffy still can't get anything right. I so don't remember this movie at all. I don't think I've seen it in twenty years.